March 26, 2019 /3BL Media/ - Learn & Live is a carpet collection that draws its influence from a design study and nature-inspired concepts of complexity and order proven to increase collaboration and creativity, reduce negative behavior and encourage social interaction. 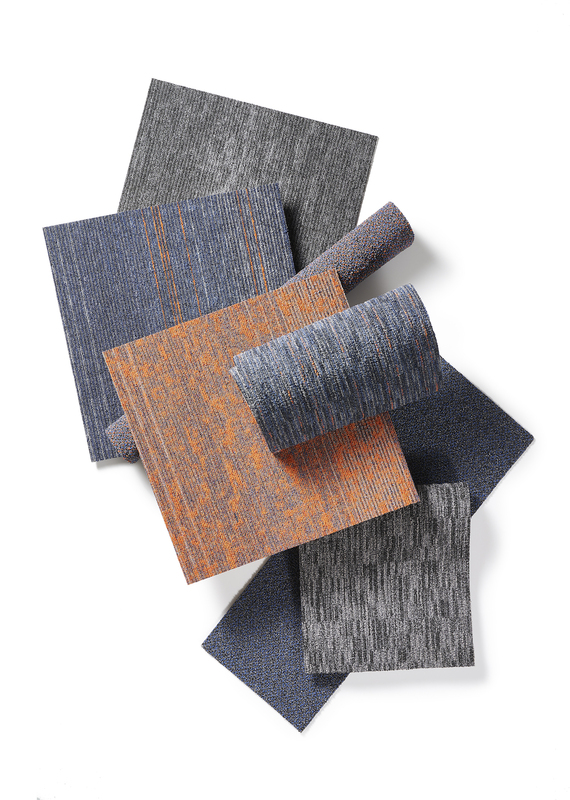 Education designers, specifiers and end users can leverage Red List-free carpet tile and broadloom styles together to create unique installations inspired by biophilic principles through the use of neutrals and accent colors. Learn & Live is a worry-free system of eye-catching flooring solutions for every application across K-12 and higher education interiors. 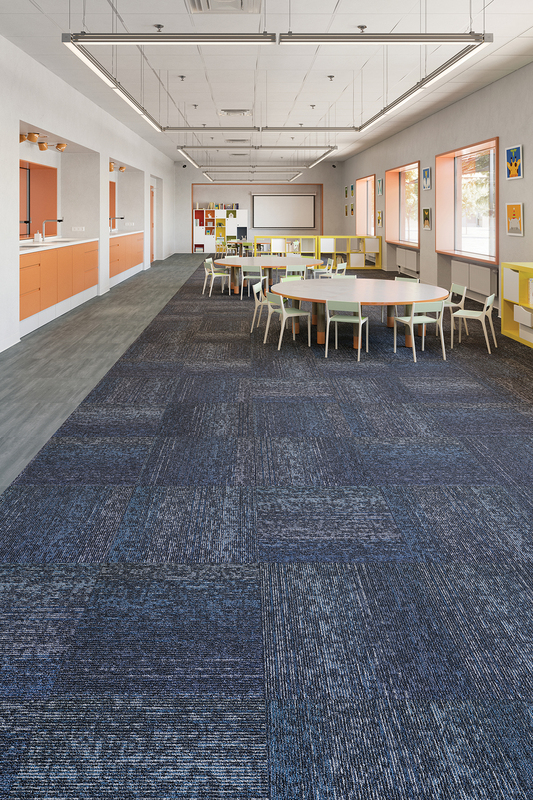 Inspired by nature at the cellular level, Swipe Right 24" x 24" carpet tile features organic patterns designed to define areas for study and thought, while Side Stripe and Rise Up modular patterns stir creativity and engagement. 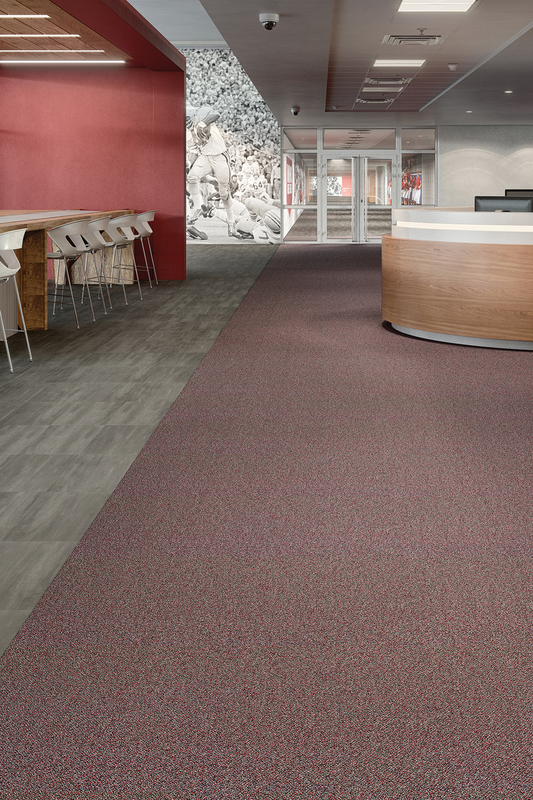 Interplay 12' broadloom features versatile geometric patterns designed to create quiet learning spaces. It coordinates with Interplay Stripe and Mirada Stitchlock broadloom styles, which create pops of color to ignite stimulation. The Stitchlock technology ensures unprecedented durability and lasting appearance retention. Its unique tufted construction boasts a woven-like performance that eliminates edge ravel and zippering, helping lower environmental impact by extending the life of the product. Learn & Live is manufactured using Mohawk’s new Duracolor Tricor fiber, which integrates a modified-delta shape and triangular hollow core to deliver unsurpassed stain resistance, colorfastness, durability, color clarity and enhanced soil performance. Duracolor Tricor is Declare Red List-free, made with recycled content and is recyclable through Mohawk’s ReCover Program. Up to 96 percent of the most common stain-causing substances can be easily cleaned with just water, reducing the need for cleaning chemicals and making it easier to maintain. Duracolor Tricor’s longer lifecycle also helps minimize its ecological footprint. Mohawk Group believes that high-performance learning environments spark creativity, foster collaboration and promote well-being. Learn more about this approach to designing for education at MohawkGroup.com/Education.